Excellent as always. I’m so tired of everyone valuing data over children. To be honest, the thought of weekly data meetings, data walls, and having to answer for poor data (in the primary grades!) is making me more and more reluctant to try to return to the classroom. I think the problem is people do not recognize that they are building a global financial market on this data. It is not about education, it is about creating investment opportunities for ed-tech and setting the stage for “learning” opportunities that will happen largely via devices outside of school settings. And it’s not just K12, this is continuing education, HR management, professional training. They want EVERYTHING in a digital format so we can be assessed, tracked, commodified forever. It’s not just K-12, it’s prek-12. The end game here is online education Steven Singer. But a program cannot “teach” – a program can only train at best. We are losing our profession right before our eyes. We are losing our children right before our eyes. We are losing our country and our freedoms – right before our very eyes. Who will resist? It’s not enough that you and I resist every school day. The nation has to resist. Wahoo! Posted this on my FB wall! This is one ELA middle school teacher turned administrator who is listening! Keep preaching brother! Love your mission! Thank you for being an administrator who listens. We need more like you!. As an administrator, I can see you are obviously an exceptional teacher that assesses your students and knows their levels. You are in your classroom, teaching the standards and doing a remarkable job and I trust what you say, but do you know for sure all teachers teach like you do. Unfortunately there are teachers out there not teaching their students, therefore data is needed for proof. Be proud of your data that it shows and confirms what you know. When things are written like this it makes ineffective teachers feel they don’t need it, but in reality they do need it. We are not perfect so the opportunity to see something we have have missed or confirm our thoughts is beneficial. Kaycie, thanks for the thoughtful comment, but I’m not convinced. If administrators observed teachers regularly and effectively, there would be no need for this kind of computerized data. But this same system forces administrators to be the keepers of the data instead of being lead teacher. 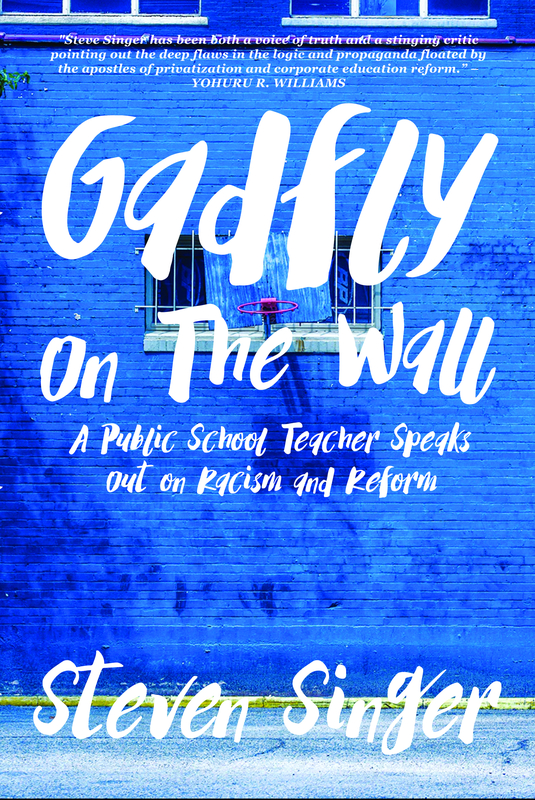 It perverts the relationship between teachers and administrators just as it does between teachers and students. I don’t teach the standards. I teach children. This “blame the teacher” mindset has got to end. Administrators and teachers need to work together for the welfare of the children. Wow, Kaycie, have you internalized the utter nonsense that the data you use is supposedly objective. That data you use is rife with error, falsehood and other subjective (not a bad thing) decisions that go into determining the parameters of that data. Let me guess, and I may be wrong, but how many years did you teach before becoming an adminimal? Less than 10? Less than 5? Please correct me if I’m wrong. To further understand the “infidelities to truth” that are involved with this not so grand delusional data driven currently fashionable means of assessing students and teachers I offer you (and anyone else) an electronic draft copy of my book “Infidelity to Truth: Education Malpractice in American Public Education”. Email me at duaneswacker@gmail.com and I’ll gladly send it to you. Teaching and learning cannot be “measured”. They can only be experienced. Predictive algorithms are widely inaccurate pseudo science, Standardized tests have a very narrow scope and show very little of what students can do, have learned, or have potential for. Data can never give you a complete picture and cannot tell you anything about the whys or how to improve anything. Data can tell nothing about the teacher/student relationship or how to motivate the student. I have had so many administrators who taught five years or less and became administrators because they didn’t like teaching and were not successful at it. They can’t be instructional leaders because they don’t know how to teach, and looking at data in their ivory tower (office) is not going to help them learn or inform the teacher how to improve. Grading is “measuring”. It is by far the most important measure in high school where grades determine GPA and class rank. Mental masturbation is all that data driven decision making is. It has nothing to do with the actual teaching and learning process that goes on in a classroom minute by minute, hour by hour, day by day other than to give a false sense of objective (sic) assessment. I think the data is for those outside the classroom rather than the teacher in the classroom. As mentioned, maybe not this bluntly, but the data is not for educators. It is for the businesses and politicians to justify screwing up real education. I was fired from a VA school because I refused to “improve” my state pass rate from 95% overall and 100% Special Education for four years to 70%. The school wanted to qualify for “Schools in Need” type funding and 95% pass rates did not show a need. I left VA and went to ND for a warmer climate (LOL). I was told “Under NO circumstances are you to fix math education at Warwick Public School”. They wanted to qualify for a $250 k per year grant, for which they qualified. “Follow the money honey”. I believe there is a fix. The one thing in common for every program and other nonsense ever forced on schools, teachers, and students is that they have never been proven to work BEFORE they we implemented. A national law that stated “No program or method may be implemented at any level of education that has not first been statistically or historically proven to help at least 80% of students to succeed academically.” This is possible. 200 years ago, US citizens were 80% literate by the Third-Grade. They were able to read The Federalist Papers and Common Sense, everyday language. Today, college graduates, considered “proficient”, note: not literate, cannot read these and other literary or historic documents. If this rule or law had been in force for the last century, we would have never had “New Math” that failed in the 1950s and has been re-branded as Common Core Math. We would have never had “Sight Reading” that failed in the 1960s and re-branded as Common Core close reading. We would have never had the “Schools Without Walls”, Open Classroom that failed and is being re-branded as Common Core, Project-Based Learning Open Classroom. We would have never had NCLB, ESSA, Race to the Top or any of the other failed unproven experimental programs. Don’t our children deserve proven teaching over experiments? Are our children “Human Capital Guinea Pigs” to be experimented on with schools being educational laboratories? What’s particularly frustrating (you know, aside from the endless child torture) is that these mysterious metrics and growth goals that they won’t tell anyone how they arrived at are used to measure teacher effectiveness. I may or may not add enough “value” to my classroom as determined by these mysterious scores. If I am found to not add enough “value” to my classroom, I don’t make as much money as my peers. So basically, it pays to drill and kill and teach to the test, at least in places still super excited about merit pay. It also, unfortunately, pays to cheat, and teachers are cheating. This is why a class that aced the state test in 4th grade gets to 5th and can barely read. This isn’t accidental. It’s not a coincidence. It’s a teacher saying to herself, “You know what? I really need that extra $5000 in merit pay so I’m going to go back and fix a few bubbles, or stand over these kids’ shoulders while they test on the computer.” Then the 5th grade teacher is screwed, because she can’t show growth over an artificially-inflated score. It’s unfortunate there are no fancy metrics for “The teacher taught this 4th grader his alphabet this year because the charter school he was at dropped the ball entirely” or “The teacher managed to get this kiddo to make it through the day without having a violent, raging, dangerous temper tantrum due to her hard work in building relationships” or “This teacher did a great job consoling this child after her mother died.” Unmeasurables in education tend to be more important, and completely overlooked these days. The data is often useless. All, or most, of the information the teacher needs can be obtained by the teacher. Teachers themselves will have to continue speaking up and out. The education establishment is seen as profitable to many and they disregard the teacher in their planning. They and some politicians see schools and education as part of financial chessboard. Teachers themselves seem to have accepted this view and only lately have asserted themselves but they cannot afford to rest; they need to continually press toward the goals of reasonable autonomy and influence. It is why Ms. Ravitch, BADASS Teacher Association, and the other teachers unions must have the goals clear; not just raises in salary which is important but school conditions which foster teacher leadership, development, and creativity. It will not be won without a fight and clear objectives. It is also important for these bodies, teacher unions, to themselves actively foster and nurture leadership which will take our educational establishments higher. It is a fight, but it is also life.